If there were fans out there still waiting for Peter Capaldi’s ‘Do I Have The Right? Speech, or his ‘Akhaten Speech,’ or his ‘It Is Protected Speech’ or his ‘Turn of the Earth Speech,’ we’re guessing they’re now more than satisfied. The ‘Not On My Watch Speech’ will, in all probability be the culmination of any compilation of Peter Capaldi’s best bits. After all the funny bits and the put-downs and the shuttity-up and the scene of him in Davros’ chair, years from now, they’ll show that speech as the fundamental identifier of who not only the Twelfth Doctor is, but who all the 21st century Doctors actually are. There’ll be more like this in a little while, I’m afraid. Writing in the immediate aftermath of an episode that makes your eyes blurry and your hands shake tends to lead to hyperbole, but for now, let’s at least try and be a little objective. The start of the episode took us startlingly back to Christmas and Dream Crabs – the reality not real, the looking through TVs to find a window to the world, and again, Clara got a chance to prove how special she is, reaching out to influence events and save the Doctor, the Impossible Girl doing her job one more time. But we see the plane explode, and cut to credits. High-class pre-crediting, Messrs Harness and Moffat. The Zygon plans rapidly advance but when Bonnie does her mojo on the scruffy guy, we’re not immediately sure what those plans are. Could it be that they’re going to literally invert? Make humans into Zygons so they can see how humans treat people who are different from them? Is that the Inversion of the title? We hope so at that point, it makes an elegant storytelling sense. More elegant, as it turns out, than Bonnie’s strategy, which is merely to ignite war, by unmasking every Zygon in the world, showing the Zygons how the humans really are, and inspire a war to end all wars. There are some gorgeous touches along the way – the Doctor’s Union Jack parachute paying homage to fellow British legend James Bond in The Spy Who Loved Me, ‘I’m old enough to be your Messiah,’ the point of the First Doctor portrait, Basil and Petronella, Osgood’s continuing strength in highly trying circumstances, Ingrid Oliver adding massively to the coolness of the peacekeeper and would-be companion, the fabulous sonic specs discussion, and an absolutely powerhouse double performance by Jenna Coleman – if she has to leave, there are worse seasons to go out in than one that allows her this chance to play both Clara Oswald and Bonnie, and here she brings genuine menace to the Zygon leader – doing scenes with yourself can’t be easy, but Coleman completely knocks it out of the park in this episode, giving Bonnie a slightly posher, slightly more camp tone than normal Clara. Kate being the actual Kate is almost surprising, and the reason for it is utterly sublime. For fans who felt it was a cop-out that Harry Sullivan wasn’t named in the last episode, not only do we hear him named, we get a fantastic Revenge of the Cybermen reference to boot. Happy now, Classic fans? What becomes clear is that this is Who at its very best. Who that yes, delves beneath the surface of our own world through the medium of science fiction. The scruffy guy is the innocent that is killed in any war, the bystander who has no truck with extreme ideas – the collateral damage when immoveable positions, when closed minds clash, and this story makes him matter, even before that scene. Ohhhh, but that scene. That scene takes Who at its very best, and then kicks it up a whole other notch you never even realized was there – at least not any more. Once in a very rare while, Who outdoes itself. ‘Do I have the right?’ as a pinnacle point of Genesis of the Daleks. That scene, right here and now in 2015 – going from relative quiet, through humour, through allegory, through actual debate and engagement with ideas, and the beautiful connection between extremist groups and tantrumming children, between Kate’s ability to make hard decision and the screaming, burning children our push-button society doesn’t see. It’s ‘A plague on both your houses,’ but with passion and power and pain and forgiveness from a man who’s done impossible, terrible things. It’s Who that makes your chest tight, your pulse race and your brain boggle. It’s Who bringing genuine perspective, genuine vision to the minds and hearts of Who fans, who maybe will question their news reports a little deeper tomorrow, and for the rest of their lives. Peter Harness had a mammoth job to do in this Zygon two-parter. He had to deliver a powerful sequel to the original Terror of the Zygons, and a powerful sequel to The Day Of The Doctor. An impossible task, surely? But Harness and Moffat together delivered not only both of those things – and without armies of Zygons or CGI Skarasens. Just people in a room. Just powerful, clear, wonderful writing, and performances, from Capaldi, Coleman, Oliver, and Jemma Redgrave. Not only those things, but a two-parter that earned itself the title Best of the Series So Far, in a Series that started with the best Dalek story in recent history. 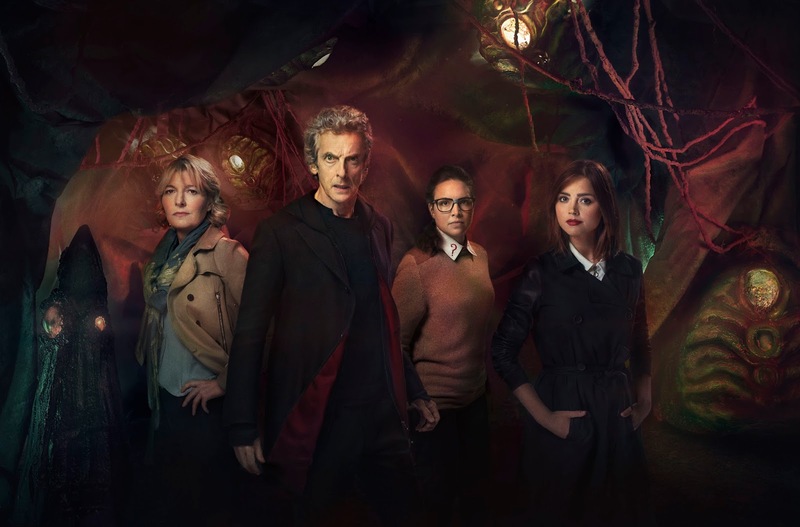 The idea of an Instant Classic is frequently overused, but with The Zygon Invasion and The Zygon Inversion, Harness and Moffat have delivered exactly that – the kind of story that will stand the test of time, and be indicative of the series, the character, the mindset of a whole era.